The Carl’s Jr. and Hardee’s restaurant franchises headed by Andrew Puzder, President Trump’s Labor secretary nominee, are among the nation’s major employers of low-wage workers. 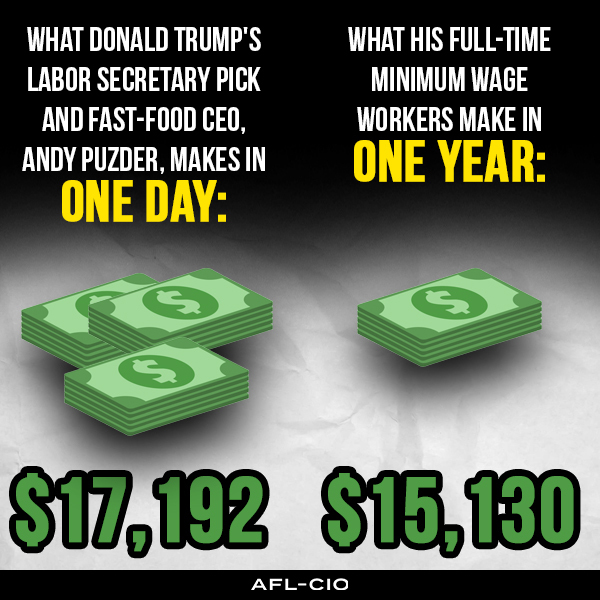 As Puzder faces a confirmation hearing scheduled for Feb. 2, it’s proper to examine how much his industry’s employment practices cost the American taxpayer. It’s a bundle. A 2013 study by the Center for Labor Research and Education at UC Berkeley found that public assistance for front-line fast-food workers costs roughly $7 billion a year. That’s a subset of the $152.8 billion the federal government spends on support for low-wage working families, according to a separate study. President-elect Donald Trump has nominated Andy Puzder, the CEO of the Hardee’s and Carl’s Jr. burger chains, to be America’s next labor secretary. In doing so, Trump may be drawing more attention to the plight of low-wage workers than he could have imagined. 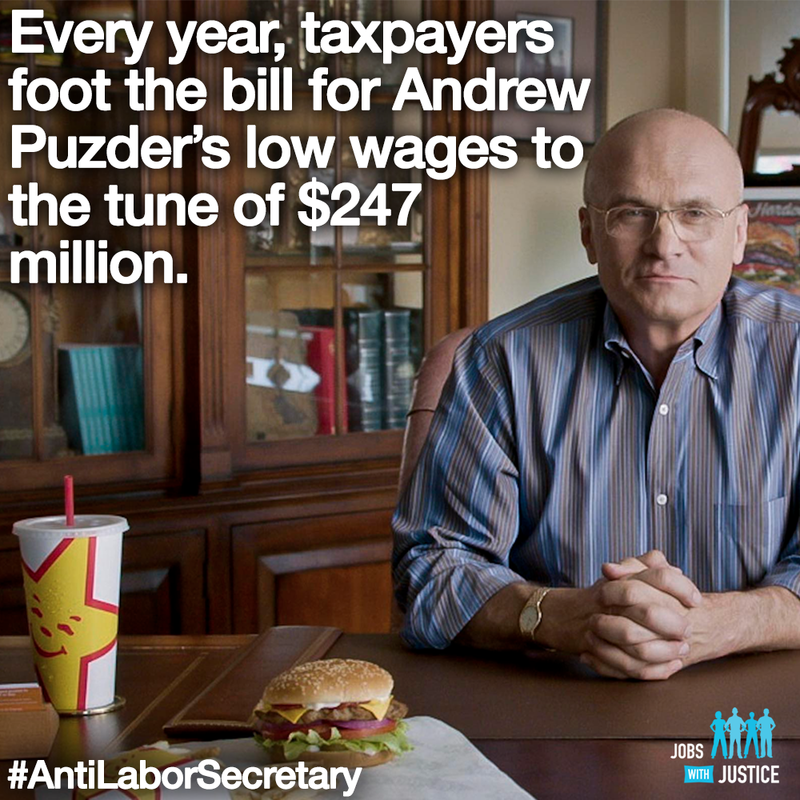 Puzder’s company violated minimum wage law by paying Hardee’s workers with pre-paid Visa debit cards, according to a 2014 investigation by the Labor Department obtained by the Center for American Progress, a progressive think tank. Workers incurred fees on those cards whenever they used ATMs outside of the designated network to redeem their pay. The workers’ pay rates were so low that the fees pushed their overall pay below the federal minimum wage of $7.25 per hour, investigators found. 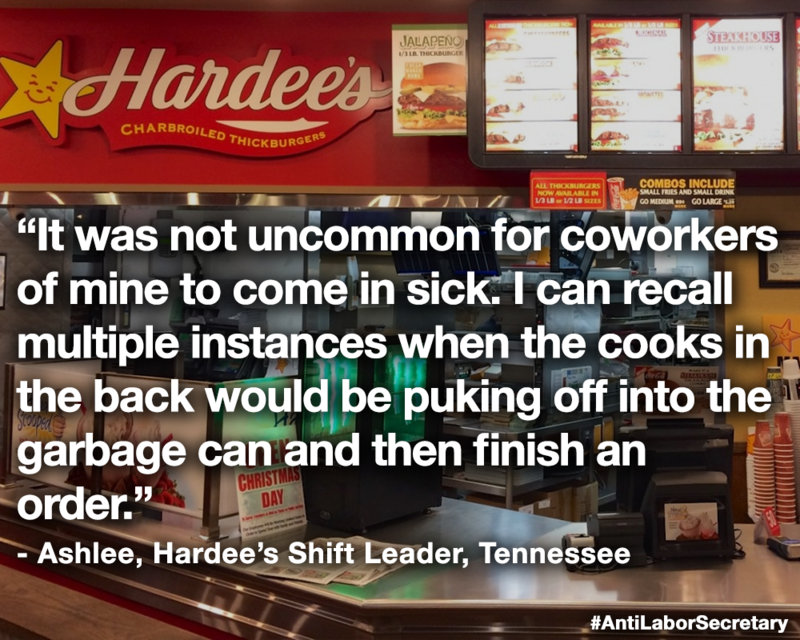 The agency ordered Hardee’s to pay a sum of $2,071.98 to an undisclosed number of workers based in Alabama. Records dated August 2014 indicate that Hardee’s refused to do so, on the grounds that complying with the order would require them to change their companywide payroll system.